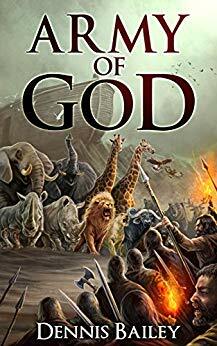 Suspense, action, romance, and a touch of the supernatural play out against a backdrop of the Biblical account of Noah when the animals rise up to defend the ark against an invading army. Free on Kindle. Find more books like "Dennis Bailey" by Dennis Bailey on kobovskindlereviews.com. We feature both reviews of ereaders and discounted + free books on Kindle. Browse more books in the Mystery, Thriller & Suspense. Disclaimer: "Dennis Bailey" price was accurate on April 10th, 2019. However, Amazon Kindle book prices can and do change frequently and without notice. Before you buy a book on Kindle, it's best to double check the price. If you purchased a Kindle book that you thought was free, you can return it by following the Kindle book return instructions here.